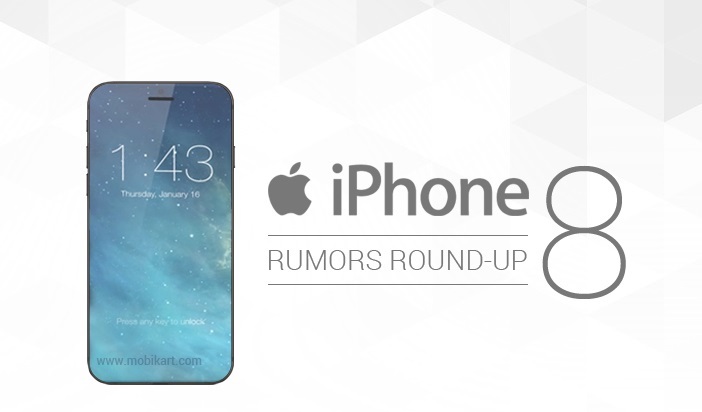 Just came out the iPhone 7 and 7 Plus and are already starting to discover all the rumors of the new news. Apple launched its iPhone 7 and 7 Plus models on September 7, 2016. Cellphones with IP67 water and dust resistance, an incredible camera and new colors and finishes (like Jet Black and mate). Although in design ... they still look like the same models as their predecessors. We tell you everything we know about the launch of the iPhone 8, price, technical specifications and new features. At this point in the movie, many of us are a bit tired of the small innovations brought by the S models, and it is likely to change this business strategy. Apple has to put the batteries and get models that really revolutionize and compete face-to-face with Samsung launches. And that with the S models can not do it. What do we expect from the new iPhone 8? Same dimensions as the iPhone 7 with same measurements. Same room for the camera. It will not have a Home button as we know it so far thanks to the new 3D Touch technology. This way they will get more screen in a smaller space. Although there are also rumors that the Home button will stay where it is but that will have new ways of use. Apple has been investigating integrating the Touch ID across the screen. Sapphire screen would be the replacement for the Gorilla Glass. More strength and durability. Graphene design. The finest substance is known to man, which is a million times better than a human hair and 100 times harder than steel. A viscoelastic shell is expected to absorb the impacts well and be even more resistant to water. Wireless charging. It will recognize your face and iris. We can unlock our phone using your face without typing passwords or using fingerprints. LiFi: A new Wireless standard that is 100 times faster than conventional WiFi connections.